Mark is the founder of Buckwalter Law Firm, PLLC. Mark is licensed to practice in Nebraska and Montana, and his practice areas include general litigation matters, real estate law, land use law, estate planning, business law, family law, bankruptcy law, and construction law. Mark strives to provide legal solutions for individuals and businesses in a timely and cost-effective manner. Mark is a native of Utah, and he received his bachelor’s degree in Political Science from Utah State University. 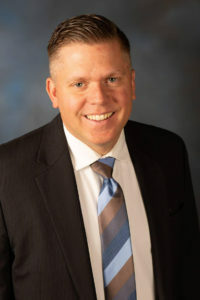 Mark obtained his Juris Doctorate degree from the University of Nebraska College of Law in 2007, and practiced for two years in one of the largest firms in Nebraska. Mark relocated to Kalispell to be closer to family and the blue-ribbon trout streams of Montana. In his free time, Mark enjoys Nebraska Cornhusker football, fly-fishing, and exploring the natural wonders of the Flathead Valley. 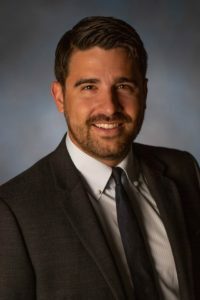 Chase Giacomo is an Of Counsel attorney with the Buckwalter Law Firm, PLLC. Chase received his Juris Doctorate from Harvard Law School. Prior to attending law school, he graduated from the United States Military Academy at West Point and served as a Captain in the U.S. Army. Chase’s practice of law focuses on helping both individuals and businesses with their legal needs. He develops customized estate plans for clients which include trusts, wills, powers of attorney and other applicable documents. Furthermore, Chase counsels clients on planning for Medicaid eligibility, long term care, and times of incapacity and/or disability. For business clients, Chase advises on a large variety of business matters including: business entity formation, mergers and acquisitions, contract drafting and other business dealings. He also works with clients on residential and commercial real estate matters. Chase enjoys partnering with clients to help them achieve their business goals. Prior to joining the Buckwalter Law Firm, Chase was an associate attorney in the Tax, Trust & Estates practice group of Crowley Fleck, PLLP. Chase enjoys living back in his hometown and loves the beauty of the Flathead Valley.